There are some dishes, which plays a vital role in foodie’s life. I am sure, everyone will agree with this point. These dishes make people crave now and then! Being a South Indian, my staple food is more of Idly & Dosa. I would love to have these often whether at home or any restaurant. 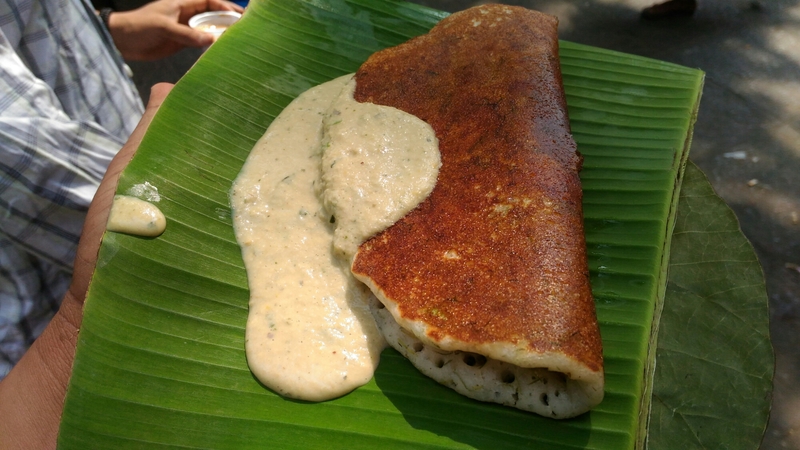 Every restaurant has their way of making Dosa & Idly. In Bangalore, there are legendary restaurants like MTR, CTR, MLTR, Veena Stores, Raghavendra Stores and Janatha will come to everyone’s mind. Since, these are brilliant places, which serve an amazing South Indian fare without any doubt. There are few other joints, which are popular and well known to Native Bangaloreans. These joints are located in good old areas of Bangalore and would require assistance from Locals, if you are visiting for a first time. Well, it was during 2004-05 and I was in College. During Exams, we had a habit of doing a group study throughout the night. These night outs made us crave for nice food in the morning. We were kind of bored with the Darshini’s food and those days, there was no Mid Night Delivery and we have to wait till 7am to get a Breakfast. 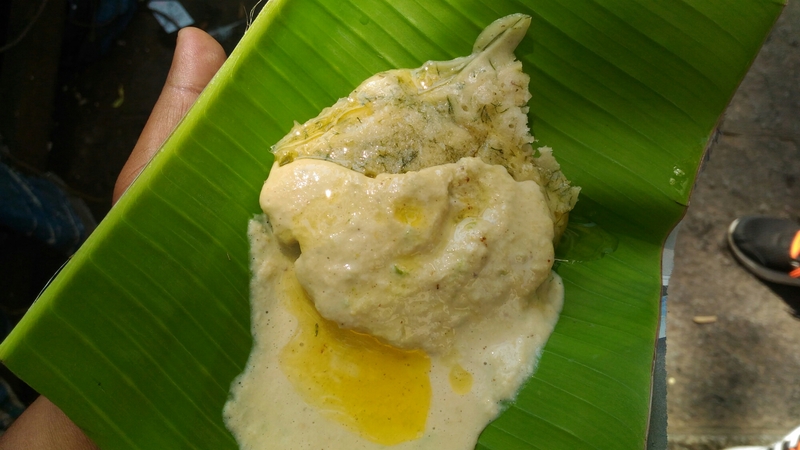 One of my partners in Crime was explaining about the food at “Muddanna Hotel” in Nagarathpet Main Road and off SP Road. Trust me; I was craving for the Palav, Upma and Hot Idly throughout the Night after his explanation. It was a difficult part for me to wake him up in the Morning to reach the place. Since, I wasn’t aware of the place properly. But, he was sweet enough to take me around 7 AM on the next day morning. The place was Jam packed with young chaps, working professionals and college students. As soon as we reach, I was hearing “Ardha Palav” “Yerdu Idly” “Chutney Jasthi”. As per my friend’s suggestion, I ordered Palav first and followed by Khara bath or Upma & Idly. Till date the Palav craving never stopped! I have introduced this place to many of my friends and they started loving it. They use to serve Palav for 10, 20 and 30 rupees on a Plantain Leaf. Now the prices are slightly revised along with the Portions. The Palav here will not be loaded with many of the Vegetables. However, we can see some cinnamon bits, green peas and brinjal rarely. The Palav has rich Indian flavors, extremely hot, soft and tastes divine! One cannot say no to it. 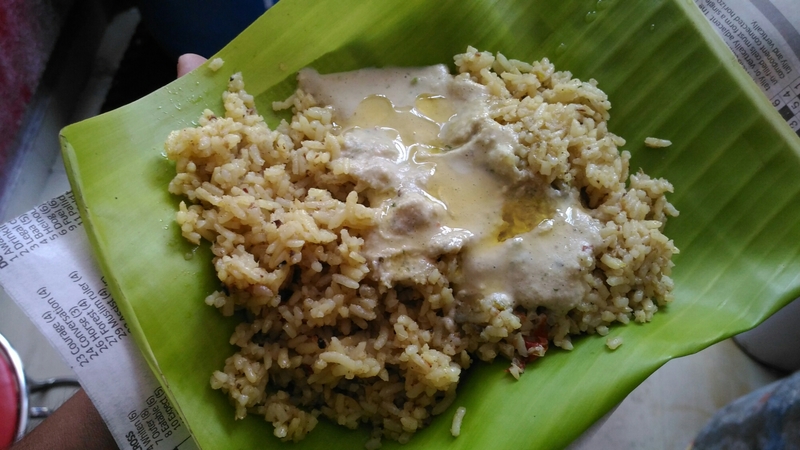 There are few set of people, who don’t like to eat rice in the Morning and those will be visiting in the afternoon for this Palav. I use to go at least once in a week after my first visit and they became very close to me and greet me with a beautiful smile whenever I go! After a few years, I noticed the Branch or related one at “Kempegowda Nagar” and I started visiting there. But my bad luck, it was closed after a few months. Three years before, my friend’s father visited to Muddanna Hotel or Namma SLN hotel on the RV Road near Teachers College and shared his experience. So, this was becoming my regular till last year. But the spice level in this joint is slightly lower than the main one! 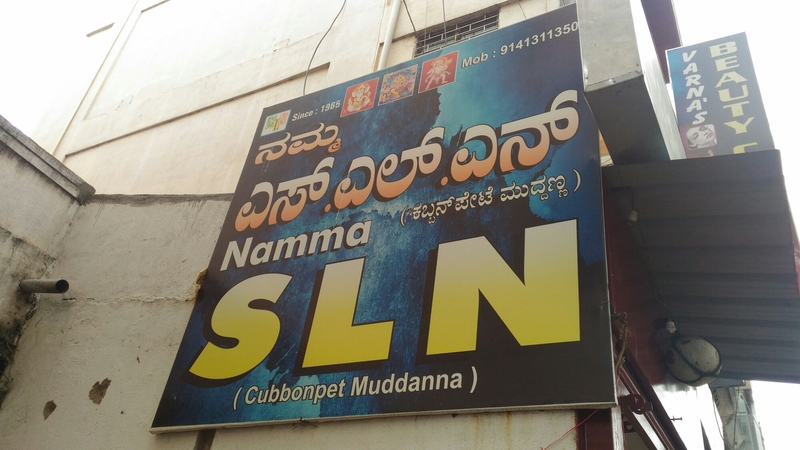 In the month of May 2015, another Muddanna Hotel or Namma SLN arrived to Gandhi Bazaar, which is right next to Roti Ghar. It’s another cozy place with 3 to 4 stools to sit and eat. 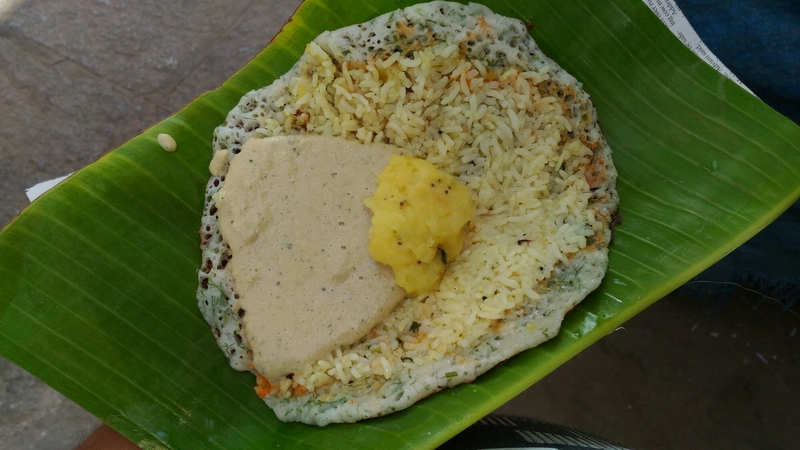 This outlet has an extended menu, which include Dill Dose, Dill Idly, Bath Masale Dose, Bath Dill Masale Dose, and an Open Dose along with Palav & Upma. This has become my all-time breakfast place and close by to my home. The person by name Mr. Narasimha Murthy, an Ex. MSIL employee is one of the sweetest restaurant owners I have interacted so far and he knows the meaning of Hospitality and Service. The food at this joint is consistent any day! People who visit this place will never have any complaints. I have introduced the Gandhi Bazaar’s Namma SLN to most of the Foodies and Bloggers in Bangalore. They were totally fallen in love with this place. During the Food Adventures, I have made good friends and did so many breakfast walks and this joint would be our kick start place. Now it’s your turn to visit “Muddanna Hotel” and yes, I will be waiting for your experience! Address of the Gandhi Bazaar Outlet: #15, Gandhi Bazar Main Road, Gandhi Bazaar, Basavanagudi, Bangalore. Previous Post Experience a culinary masterpiece at Alba, JW Marriott, Bangalore. Just visited this awesome place. Only one correction, he has 2 stools not 4 . What service and food. Top class.